Psoriasis is an unpleasant skin condition which can make your life really miserable. 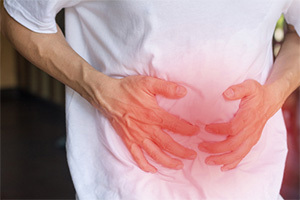 Whether you have the commonest 'plaque' type or a less common form, you can be driven wild by itching, disabled by cracking and bleeding and kept awake by discomfort. So finding a good psoriasis treatment that works for you is pretty important. Although the exact causes of psoriasis aren't yet fully understood, and no 'complete cure' has yet been discovered, a great deal is known about the process of the illness itself. For example, it's known that psoriasis doesn't randomly appear but requires a 'trigger' to activate it. Injury, infection and drug reactions are all known to be triggers. But one of the commonest triggers is emotional stress. Paradoxically, this is good news! Conditions where emotional factors play a significant role are particularly amenable to hypnotic intervention. Why is this? Our emotional states may appear to arise autonomously, in a way that's outside our control. However, while it is true that emotional response is not a conscious behaviour, it has been clearly demonstrated that the nature, intensity and duration of such responses can be modified with hypnosis. Furthermore, it has been conclusively shown that, where emotional states are modified, measurable physical consequences follow. 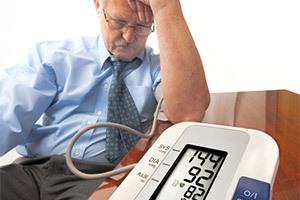 Blood pressure can be raised or lowered. Healing can be speeded up. Immune response can be strengthened. Pain can be reduced or eliminated. Hypnotic intervention for psoriasis has been specifically investigated in a pilot study at the John Hopkins Medical School in Baltimore. (1) Five patients were given specific positive suggestions about their skin. Six were given neutral suggestions. All the patients showed some benefit, but those who were given hypnotic suggestions specifically directed at their psoriasis enjoyed much better healing. Psoriasis Treatment is an audio hypnosis session which brings together all these understandings of how to use the powers of the mind to influence healing. It is designed to be used alongside medical care. Regular listening to Psoriasis Treatment will allow you to enjoy (and master) deep relaxation techniques. Regular repeated use of such techniques is a powerful way to reduce emotional stress and maintain calm even in difficult situations. In addition, Psoriasis Treatment aim to give you a much greater level of control over your condition through the use of powerful metaphor and hypnotic visualization. Download Psoriasis Treatment below and give yourself another option for your condition. Psoriasis Treatment has been purchased by 321 customers.